Bassem graduated in 2006 from the American University of Beirut with a Bachelor’s degree in Computer and Communications Engineering. He started his career with Procter & Gamble in brand management, where he spent 4 years in both regional and local roles within the MENA region. In 2010, Bassem moved to Boston to pursue his Master of Business Administration (MBA) at the Harvard Business School. During this time, Bassem’s emphasis was on Strategy and General Management. 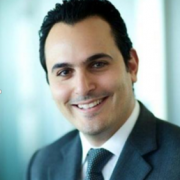 Upon completing his MBA, Bassem joined Bain & Company, a global management consultancy, where he advised major players in retail, consumer goods and the public sector on topics of strategy, process improvement, and organization development. Bassem left Bain & Company as a Case Team Leader in March 2015 and joined Google as Industry Manager FMCG for the MENA region.